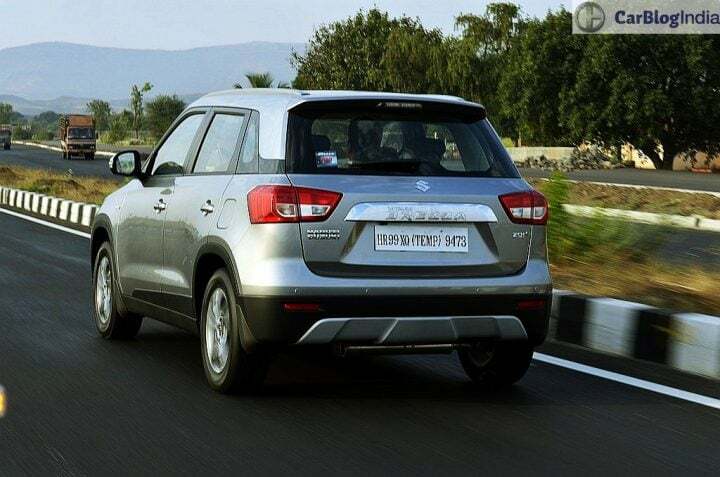 The Maruti Suzuki Vitara Brezza is one of the top-selling products for the Indo-Japanese automaker in India. It currently leads the segment of sub-4-meter compact SUVs by a huge margin. And it manages to do so only with a diesel derivative in its portfolio. It is expected that Maruti is going to update the Brezza this year with a mid-life update. With this update, in addition to getting minor cosmetic and feature updates, this urban utility vehicle will get a petrol derivative under its hood. Speculations are high regarding which engine Maruti is going to plonk in the Brezza, however, our bet is on the BS-VI spec iteration of the 1.0-litre, turbocharged boosterjet motor. The compact SUV, with its petrol derivative is going to cost marginally low than its corresponding diesel variants. Currently, the price of the base variant of the Brezza’s diesel derivative is INR 7.28 lakh. While the top of the line variant retails at INR 9.95 lakh (ex-showroom, Delhi). 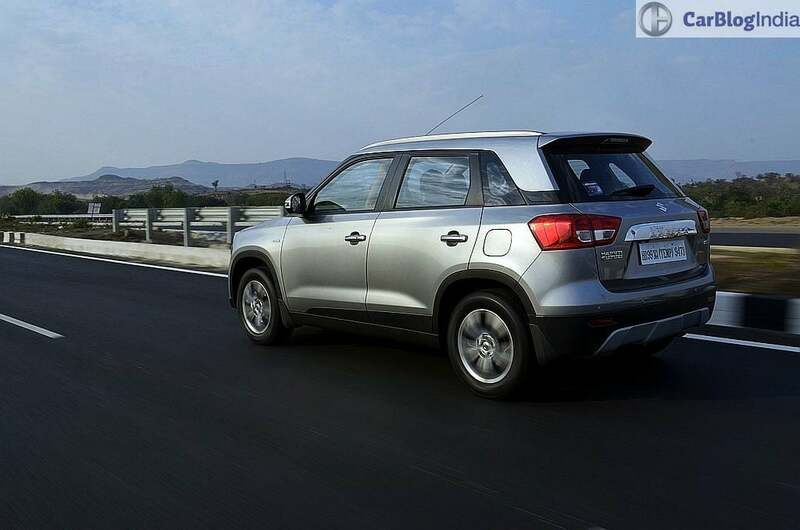 Expect the prices of the petrol variant of this compact SUV to cost in-between INR 6.5 lakh to INR 9 Lakh. As mentioned before, we expect Maruti to launch the petrol derivative of this sub-compact SUV in India during mid-2019. Consequently, it should debut in India sometime around the months of April or May. We believe that Maruti is going to introduce the 1.0-litre Boosjetjet engine in the petrol derivative of this SUV in India. This is the same unit which powers the Baleno RS. This 3-cylinder, turbocharged gasoline motor produces 100 BHP of power along with 150 Nm of peak torque. The compact SUV is going to get a 5-speed manual gearbox as standard across the range. 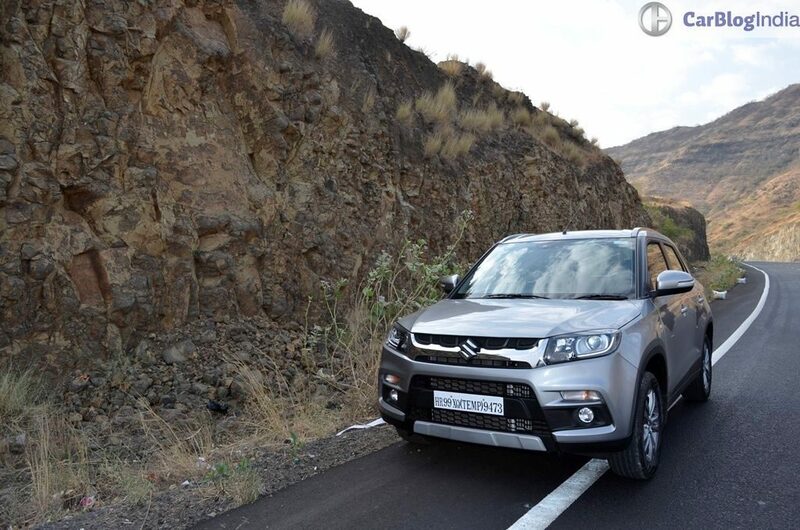 Also, we expect Maruti to introduce the 5-speed AMT gearbox in Brezza’s line-up as well. Furthermore, instead of the Boosterjet engine, Maruti could use the Ciaz’s 1.4-litre K-Series petrol engine in this vehicle as well. In the Baleno RS, the 1.0-litre Boosterjet engine promises a fuel efficiency of 21km/l. The Brezza and the Baleno Rs share the same HEARTECT platform. That said, the Brezza is slightly heavier than the Baleno. Hence, expect the fuel economy to stand around the mark of 18-19km/l. Dimensionally, the new petrol derivatives of this petrol Brezza will measure the same as that of the diesel derivatives. Consequently, the compact SUV will have 3995 mm of length, 1790 mm of width and 1640 mm of height. Furthermore, the cars’ wheelbase stands at 2500 mm while its ground clearance stands at 198 mm. The Brezza comes with a boot space of 328-litres. In terms of its design, the petrol derivative of this SUV is going to be exactly identical to the current diesel derivative. The only point of differentiation is going to be the variant markings on the boot-lid. The compact SUV will continue to come with its typical SUV looks. The one feature which has worked wonders for the vehicle in India. Up-front it will get the same boxy headlamps which wrap around the fenders smartly. The grille will continue to support the large chrome accent, lending the car with a bold stance. The petrol derivative will also get the faux skid plates, both at the front and at the back. Maruti will also offer the i-create customization kits on the Brezza petrol. Similar is the case with the interior profile of the Brezza petrol. It will continue to come with an all-black colour theme along with contrasting silver inserts. The material quality will also continue to remain the same. 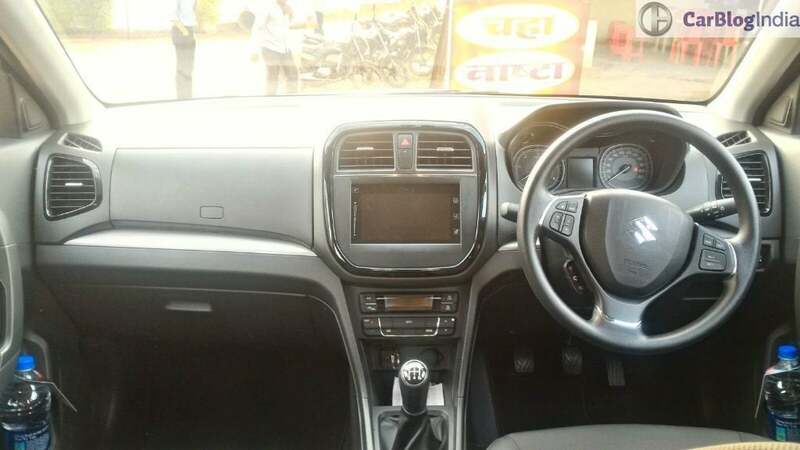 Just as with other Maruti cars, the cabin of the Brezza petrol will offer a host of storage spaces. The rear seat is best suited for two people. However one can easily squeeze in a third adult as well. The Brezza presently lacks a rear ac-vent, we do not expect Maruti to introduce it in the petrol derivative as well. 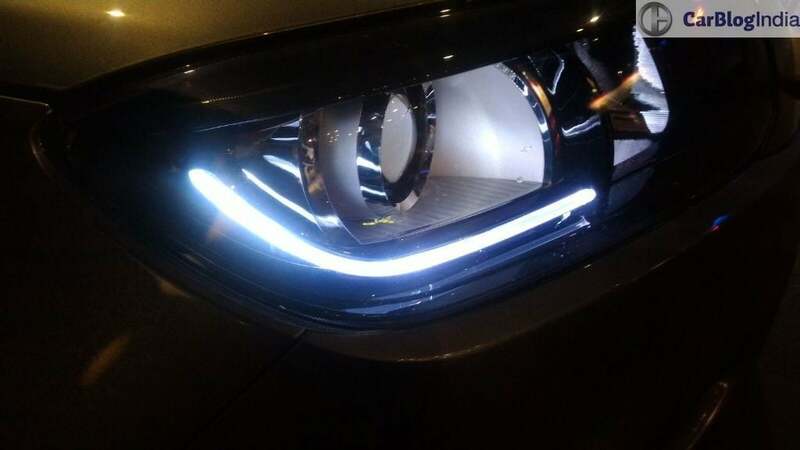 The top-spec variants will continue to come with features like projector headlamps, LED daytime running lights, automatic climate control among the others. 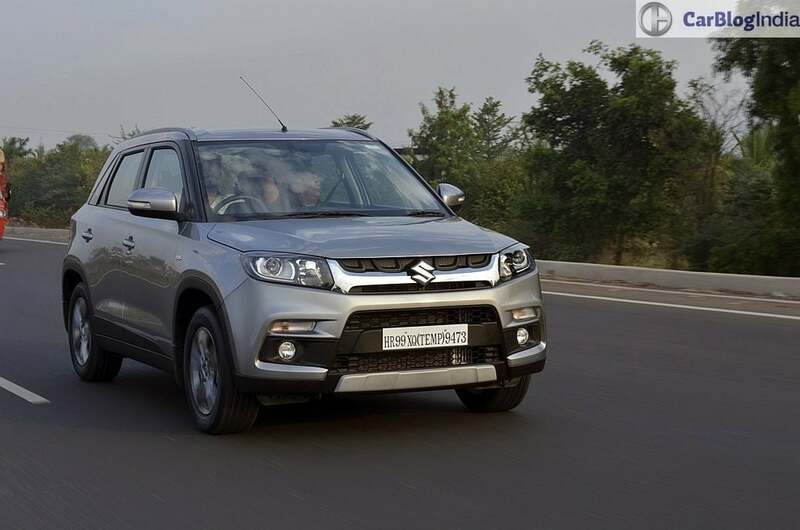 Just like all the present Maruti cars and the diesel derivative of the Brezza, the petrol derivative of this vehicle will get dual-airbags and ABS with EBD as standard across the range. Furthermore, the compact SUV is going to come with a reverse parking camera with sensors. In addition to this, the petrol derivative will also get both front and rear defoggers. The Brezza, as you all will know, is a sub-compact SUV. 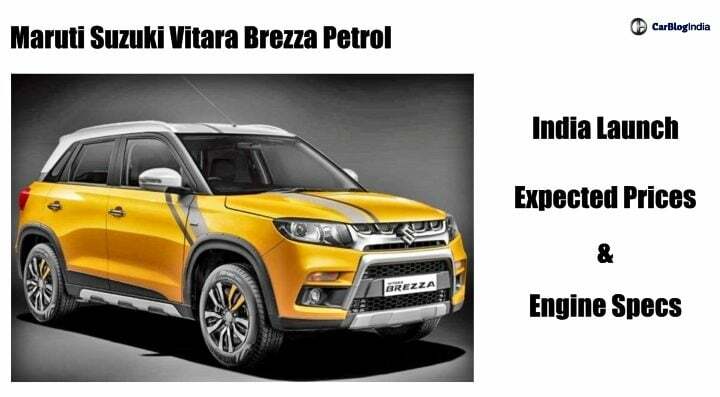 Hence, the petrol variants of the Vitara Brezza will compete against the likes of Tata Nexon, Honda WR-V and the Ford EcoSport.